Three months of Bible Readings based in the books of 2 Kings, Isaiah, Jeremiah and John. It would be difficult for me to exaggerate how wonderful we think these Bible notes are. We have done 1-11 of Table Talk over the last 4 years with our daugher (now 10). 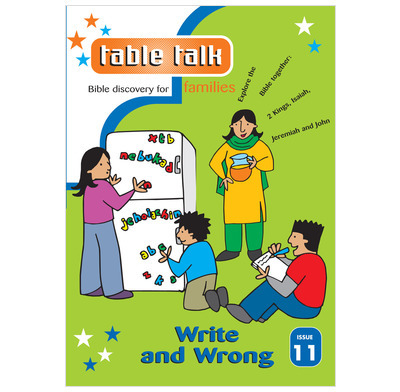 We find Table Talk doctrinally reliable, contemporary, personally challenging and alot of fun. Our daughter has learned about God, the Bible and herself, as well as developing a daily prayer life. A great tool for maximising these early years with your children.